There are many reasons why a trip to the Dead Sea is a trip you will remember. For starters, you will be able to explore the rich history of the area; yes, the Dead Sea isn’t just one of the saltiest bodies of water in the world, but also one of the most historically rich places you can visit. The salt as well as the mud found on the bottom is also very good for your skin and your body. Of course, simply jumping in and taking a swim is not how you enjoy the Dead Sea. Here are some do’s and don’ts that you need to know before your next trip to the Dead Sea. The Dead Sea is incredibly rich in salt, so going in with even the smallest cut is a painful experience you want to avoid. It is highly recommended not to shave – ladies, this means to not shave your legs too – before your trip. You can minimise the impact of the salt water by rubbing oil or moisturising cream before getting into the water. The oil can help protect your pores while keeping your overall experience in the Dead Sea pleasant. A lot of people visit the Dead Sea for the healing properties of the salt water and the seabed mud. 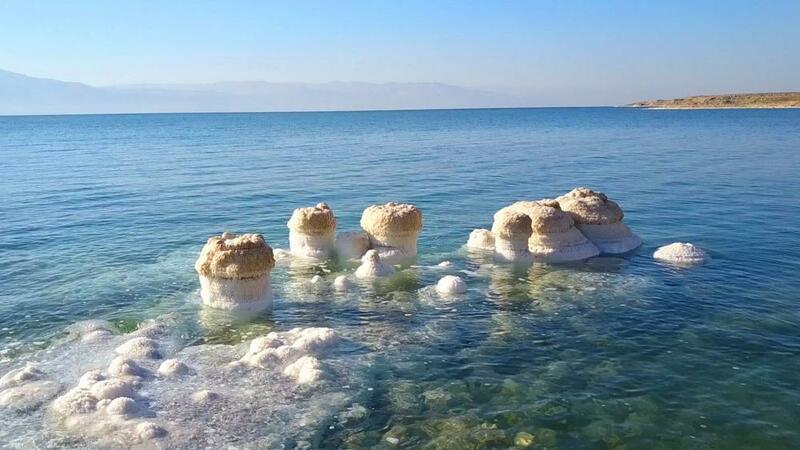 If this is your reason for visiting the Dead Sea, you can ignore this particular tip. If you are not told to let the mud remain on your skin for a while, then rinsing the mud and salt immediately is highly recommended. Fortunately, there are quite a few showers and places where you can rinse off near the sea. The salt water and the mud are very strong and rich in minerals. One of the reasons why people use the Dead Sea mud to treat different skin issues is because of the richness and strength. Unfortunately, too much of the minerals could harm you. Limiting your time in the water to 10 minutes doesn’t mean you cannot enjoy more of the Dead Sea. As long as you rinse off after 10 minutes and take a short break, you are free to jump right back in and float some more. Dead Sea resorts are the best if you really want to enjoy the best of the Dead Sea. They are situated near the body of water itself. They also offer a long list of amenities to make your stay more enjoyable. There is no shortage of options to choose from. As the Dead Sea becomes more popular among international travellers, an influx of new resorts and Dead Sea hotels are to be expected. We already have properties like the ‘Herod’s Dead Sea Hotel’ offering 5-star amenities. Staying near the sea allows you to have as many swims as you like and reap the benefits of the Dead Sea throughout the trip. You also have better access to nearby attractions, including the best restaurants in the area. So, are you ready for your next trip to the Dead Sea?